You’ll love the taste! There are three different types of onions used to flavor this delicious blend. What could be easier? 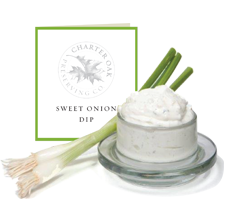 Just mix with sour cream for the perfect dip. Use to season mashed potatoes for “Sweet Onion Mashed Potatoes”. Flavors four cups of sour cream.